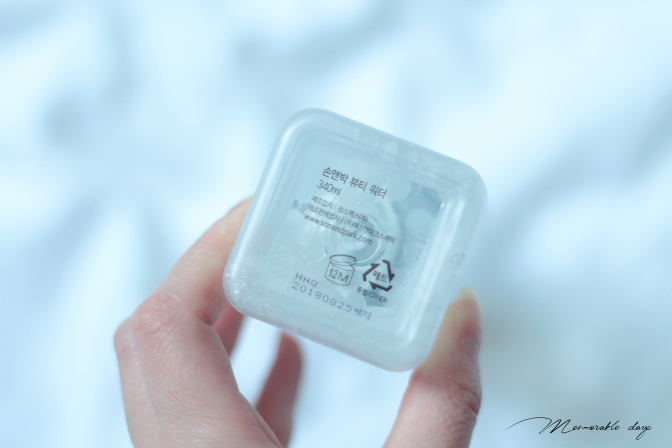 Review: Son & Park Beauty Water | Memorable Days : Beauty Blog - Korean Beauty, European, American Product Reviews. I have been hearing a lot about this skincare product recently. I am talking about the Son & Park Beauty Water. Son Dae-sik, a famous celebrity makeup artist in Korea is the co-founder of the Son & Park beauty collection. If it is created by a make up artist, it must be good you would think, no? 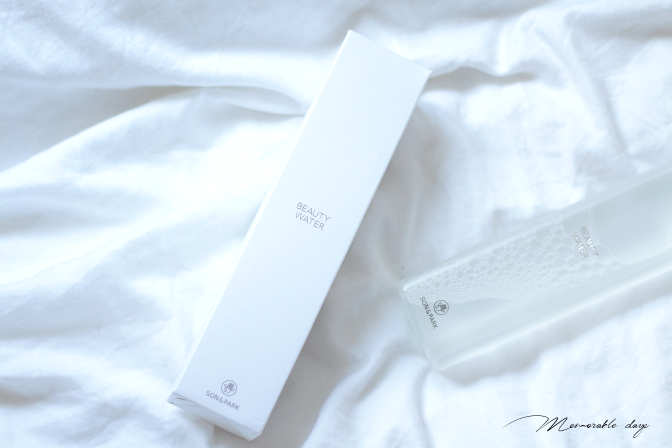 Read my thoughts about the Son & Park beauty water in today's blogpost. The packaging is very simple - black and white. 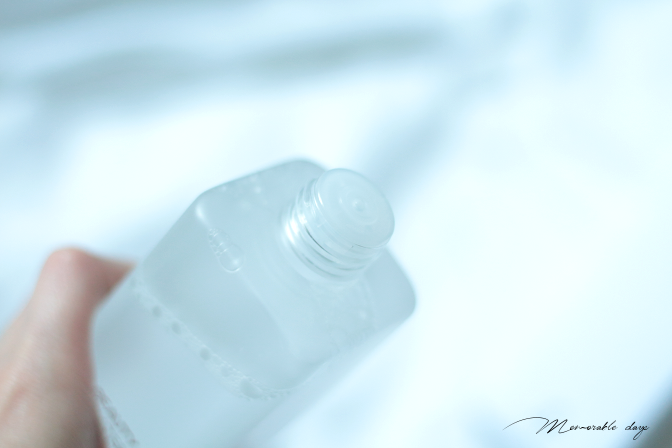 It comes in a translucent bottle and it is sold in two sizes: 340ml and 500ml. It is a cleansing liquid made from natural plant extracts that gently cleanses, exfoliates and moisturizes the skin to make it smooth, revitalized and hydrated. The formula of the beauty water creates a clean base for the following steps in your skincare routine. It has a pH of 5, which is a perfect amount of pH after cleansing. It contains natural ingredients derived from coconut, corn, potato and wheat. Besides that, it renews the skin's surface as willow bark and papaya extract lift away impurities and dead skin cells for brighter and smoother skin. The Son & Park beauty water also claims to hydrate the skin because of the lavender water, rose flower water and orange fruit extract that this product contains. It is suitable for normal, dry, oily and combination skin types. Put some product on a cotton pad and gently sweep across the face. As you can see below the product is translucent and it's very liquid just like water. You can use it as a toner, you can use it to remove remaining impurities after cleansing, you can also use it as a way to freshen up your face during the day, like after the gym. I purchased mine at w2beauty.com, it's sold in two sizes there as well and I got the 340ml one, which will probably last me for a few months. I usually use this as a toner after cleansing my face with my Clarisonic mia 2. The Son & Park beauty water has a PH 5 which is great for resetting the skin's natural pH after cleansing and my skin definitely notice this. It doesn't feel tight on the skin, it makes my skin clean, it's gentle, not dry and non-sticky. It has a bit of a scent to it but it's not overwhelming at all. I'm loving the simple but sleek packaging as well. Overall, I am happy with the beauty water because it does what it should do. It's not a miracle water where I can see big changes, but I can feel that my skin likes it. note: i purchased this product myself, this blogpost contains affiliate links, see disclaimer.